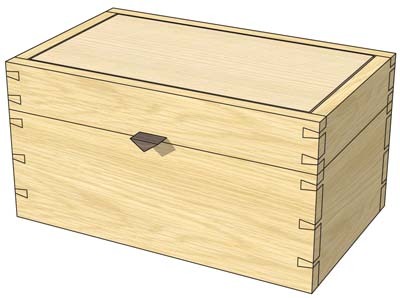 This lovely little jewellery box is a perfect little project for over the holiday period. 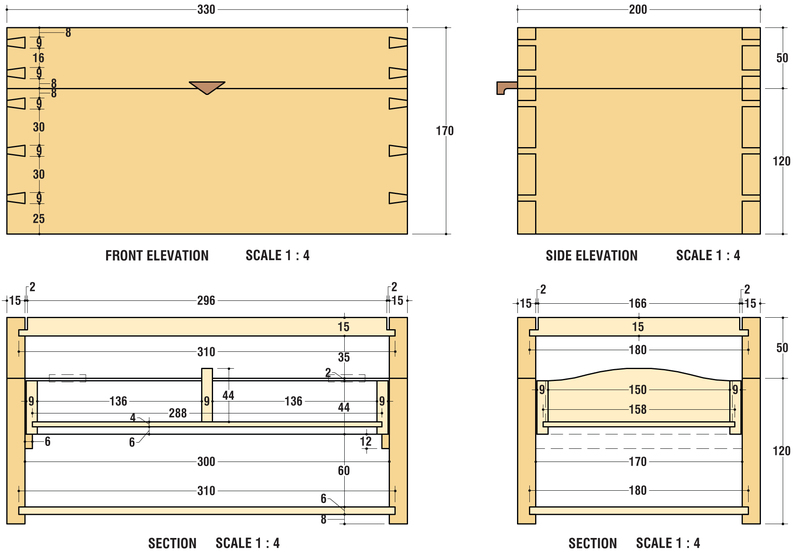 Your first decision is which timber to choose for the main body. 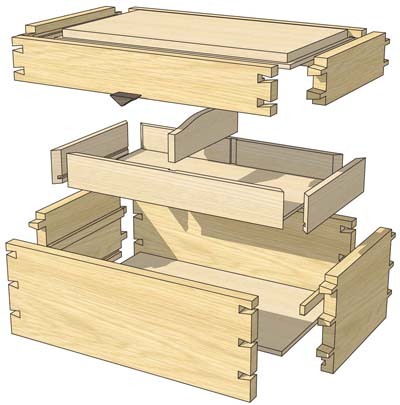 Don't forget that the timber will be contrasting with the ply you choose to use for the lid top and the bottom of the box, as well as the tray insert bottom and dividers. 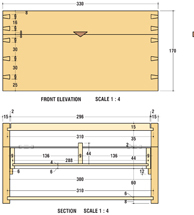 First of all, plane and thickness a length of timber for the front, back and sides of the box. Donâ€™t forget the easiest way to make a box is to do the whole thing, and then cut off the lid. Then, using a router, or router table, cut in the rebates for the top and bottom. Once this is done, cut the timber to length and then mark up and cut your dovetail joints. Next, you need to cut the rebate for the box lid. Once this is all cut, do a dry assembly of the box with top and bottom, and make sure it all fits nicely. After making any necessary alterations to ensure a good fit, glue the whole thing up. Once the glue has set, use a saw with as thin a kerf as possible to cut the lid from the body â€“ Japanese saws are good for this job. Your next job is the tray insert. Again, cut your full length of timber before rebating the lot. Then cut your corner mitres and your rebate for the central divider. Then glue up and clamp. Glue and pin you battens for the insert tray inside the box, and check the tray fits! Then cut and fit your handle. Once you know everything is fine, sand through the grits and apply a couple of coats of lacquer, de-nibbing between coats.